We are excited to announce that the New Mexico Simon Scholars Alumni Association is officially in operation! We are pleased to recognize the following individuals who will serve in leadership roles for the 2018-19 year. Jorge graduated from Capital High School in 2012. He received his Bachelors of Science degree in Mechanical Engineering from Brown University in 2018. 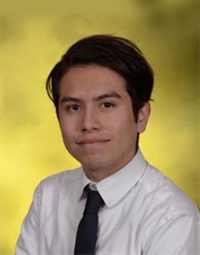 Jorge currently works as an Associate Structural Engineer in an Albuquerque firm where he helps to design small buildings. He is excited to continue building his professional experience and hopes to pursue a Masters degree in the future. Nancy graduated as a Simon Scholar from Santa Fe High School in 2010. She received her bachelor’s degree in Political Science and Spanish from the University of New Mexico. While obtaining her degree, Nancy worked at a law firm and was active in political campaigns. 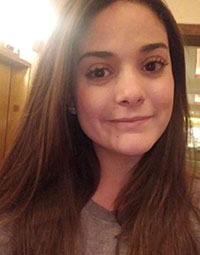 She was an active member Kappa Delta Chi, Sorority Inc.,Phi Eta Sigma, National Honor Society and the National Society of Collegiate Scholars. 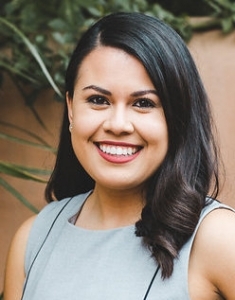 After graduating from UNM, she interned for the New Mexico State Legislature and now works full time, where she continues to work with committees that focus on issues from around the state. Her future plan is to become an elected official. Alyssa graduated from South Valley Academy in 2012. She received her Bachelors degree in Psychology with a concentration in Human Services and Studio Art from Cornell College in 2016. 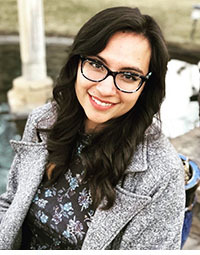 Alyssa is currently the Family Support Liaison at West Mesa High School where she works with students and families in the community to obtain resources such as food, clothing, and school supplies. She also works to build a positive school culture with students, families and staff by creating engagement events to promote student success in and out of the classroom. Alyssa plans to continue her education in the near future by pursuing a Master’s degree in Social Work. 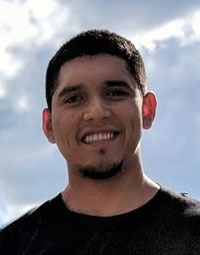 Lorenzo graduated as a Simon Scholars from Albuquerque High School in 2013. He received his Bachelors of Science degree from Brown University in 2017. 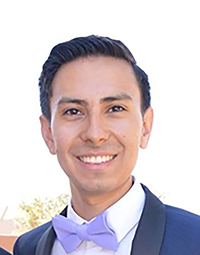 While obtaining his degree, Lorenzo was a member of the Society for Hispanic Professional Engineers and interned as a Summer Researcher at Los Alamos National Laboratory. He is currently a Project Engineer for Senspex where he works with teams to build thermal imaging products. Lorenzo plans to further his education by obtaining a Master’s of Science degree in Mechanical Engineering focusing on fluid and thermal systems. Lorenzo’s future goals are to design and build military aircraft engines. He also hopes to serve as an elected official in New Mexico to bring innovative ideas and increased prosperity to the state. Briana graduated as a Simon Scholar from Capital High School in 2012. She went on to receive a Bachelors of Science degree in Biology and Bachelor of Arts degree in Spanish with a minor in Chemistry. Briana currently works at the Christus St. Vincent Regional Cancer Center as a Research Assistant. She also tutors for AVID and the Simon Scholars Program in Santa Fe. In the future she hopes to continue her education and plans to apply to medical school.